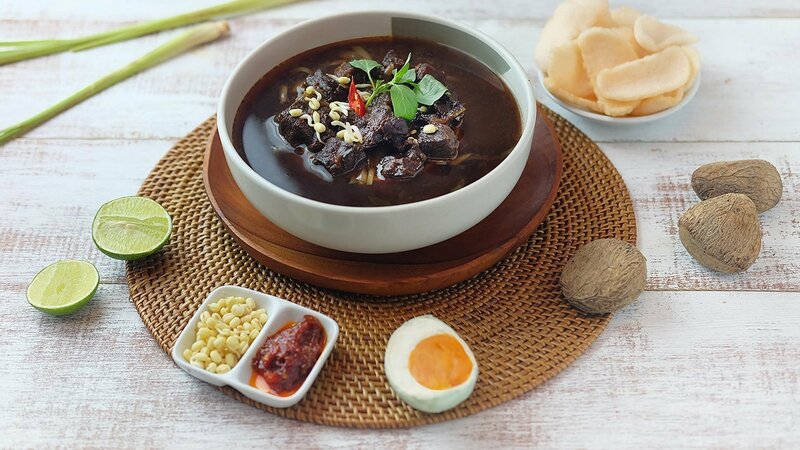 Rawon is Indonesian cuisine in the form of black soup as a mixture of typical ingredients containing kluwek. Rawon, although known as a typical East Java cuisine, is also known by the east side people of Central Java. Heat water, after boiling add the beef that has been cut into pieces. Add all the ingredients above. Blend all the above ingredients except oil and Bango Kecap Manis. Set aside. Heat the oil and saute the smashed spices until fragrant. Add the Bango Kecap Manis at the end, turn off the heat. Mix the rawon spice with rawon broth. Prepare the rice in a bowl. Pour rawon on a plate.